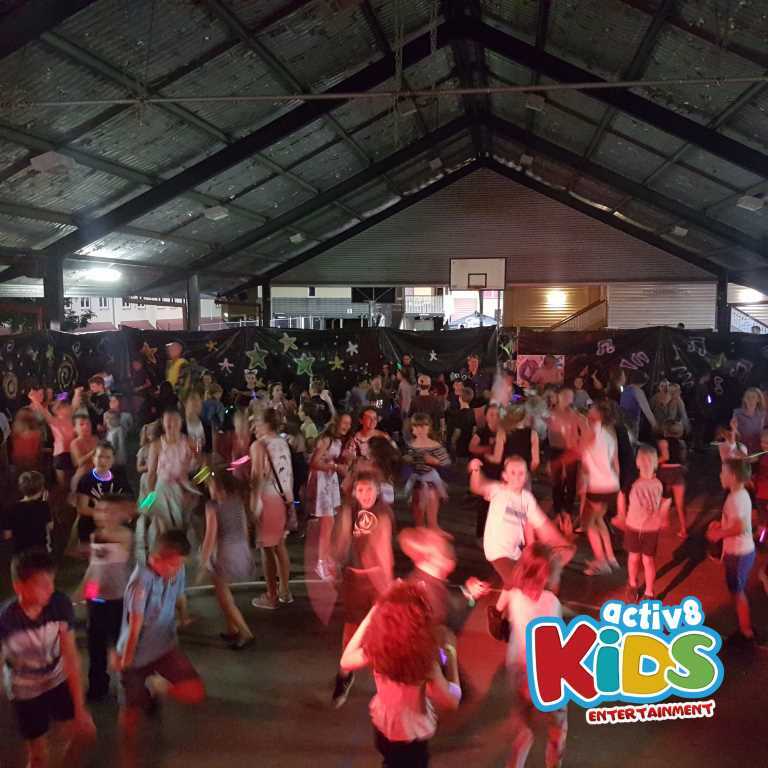 DJ Sam had a rocking night at Wilston State School, with food trucks, glow in the dark batons and crazy dancing all night long. We kicked off the night with the junior disco with mums and dads joining in on the dance floor fun. We danced along to The Chicken Dance, Macareena, What does the Fox Say and the latest popular song Baby Shark..just to name a few. The Wilston State School kids were howing off their baby shark moves and singing along as loud as they could. We played freeze and had a crazy dance off between the girls verse boys. Gangmen Style was a best song to finish on with crazy cowboy moves and jumping. The juniors had an awesome time singing and dancing into the later hours of the evening. The seniors made their way onto the dance floor ready and pumped for a big night of dancing and laughter. They were very specific with their song request, so lucky DJ Sam had some awesome songs to showcase. DJ Sam played all the latest hits and interactive songs such as Cha Cha Slide, Whip Nae Nae and some old school sing along songs such as YMCA. We even took things down a notch with some slow dancing to Ed Sheeran. The seniors had to blast out the lyrics as loud as they could as if they were at a Ed Sheeran concert and boy did they impress DJ Sam. They were spinning, twirling and giving each other massive hugs during the whole song. The boy vs girl dance off got super crazy with the boys showing off their Turn Down for What moves and the girls shaking their bodies to Bang Bang. Dj Sam made sure the kids were cheering on the opposite teams. They got bonus points for cheering on their competitors with the girls winning the dance off with their awesome sportsmanship towards the boys team. What a crazy fun night the boys and girls had at Wilston State School.